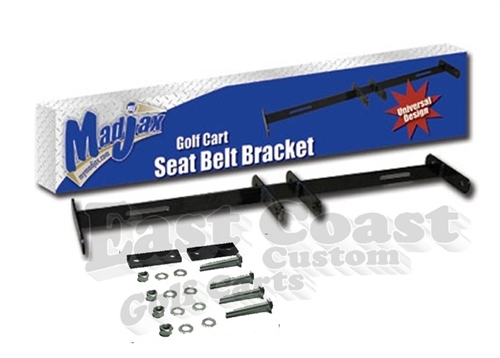 This mounting bar will accept 4 seat belts for your front and rear seat. Bar hardware is included. Some drilling may be required. 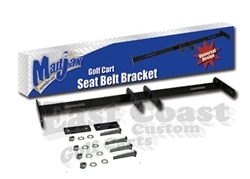 Bracket can be used for front and rear seats. Will not work on stock Club Car Precedent and Yamaha G2/G9 golf cart models.